Southern California Wedding Officiator - Ask Dr. Linda- It may sound strange, but a Dr. Suess Style method of wedding vows exchange was a popular novelty this month, says the Clergy Network wedding ceremony writing staff. Wedding ceremony writing is a joyful challenge, and requires a willing insightfulness into each couples one-of-a-kind personality and life experiences. Tip - The method of wedding vows exchange can be as important as the words which are spoken. There are a number of wedding vows exchange methods which do not require memorization. A Clergy Network bride and groom can construct the best wedding vows with a TCN wedding vows writer. 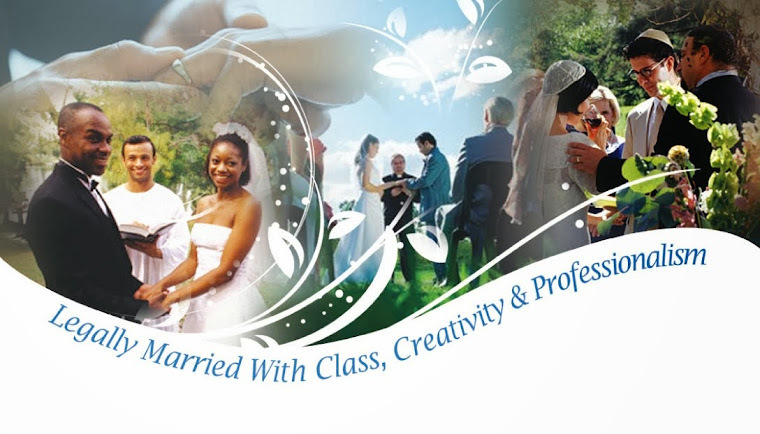 To book a Clergy Network clergy or civil wedding officiator for a 2009 wedding ceremony in Southern California, call our main number at 714 970 8839. Booking Gift - Bride Name Change - TCN includes The Name Change kit For Brides with Software by The Wedding Helpers as a gift to each bride and groom booking for 2008 or 2009. The Clergy Network can provide a Wedding Clergy or Wedding Officiator or Civil marriage officiant for the cities of Adelanto - San Bernardino Co. Agoura Hills - L.A. Co. Alhambra - L.A. Co. Anaheim - Orange Co. Angeles National Forest - L.A. Co. Antelope Valley - L.A. Co. Apple Valley - San Bernardino Co. Arcadia - L.A. Co. Artesia - L.A. Co. Azusa - L.A. Co. Baldwin Park - L.A. Co. Banning - Riverside Co. Barstow - San Bernardino Co. Beaumont - Riverside Co. Bell - L.A. Co. Bell Gardens - L.A. Co. Bellflower - L.A. Co. Beverly Hills - L.A. Co. Big Bear Lake - San Bernardino Co. Blythe - Riverside Co. Bradbury - L.A. Co. Brea - Orange Co. Buena Park - Orange Co. Buellton - Santa Barbara Co. Burbank - L.A. Co. Calabasas - L.A. Co. Calimesa - Riverside Co. Camarillo - Ventura Co. Campo - San Diego Co. Canyon Lake - Riverside Co. Carlsbad - San Diego Co. Carpinteria - Santa Barbara Co. Carson - L.A. Co. Catalina Island - L.A. Co. Cathedral City - Riverside Co. Cerritos - L.A. Co. Chino - San Bernardino Co. Chula Vista - San Diego Co. Claremont - L.A. Co. Coachella - Riverside Co. Colton - San Bernardino Co. Commerce - L.A. Co. Compton - L.A. Co. Corona - Riverside Co. Coronado - San Diego Co. Costa Mesa - Orange Co. Covina - L.A. Co. Cudahy - L.A. Co. Culver City - L.A. Co.Cypress - Orange Co. Dana Point - Orange Co. Del Mar - San Diego Co. Desert Hot Springs - Riverside Co. Diamond Bar - L.A. Co. Downey - L.A. Co. Duarte - L.A. Co. El Cajon - San Diego Co. El Monte - L.A. Co. El Segundo - L.A. Co. Encinitas - San Diego Co. Escondido - San Diego Co. Fillmore - Ventura Co. Fontana - San Bernardino Co. Fountain Valley - Orange Co. Fullerton - Orange Co. Garden Grove - Orange Co. Gardena - L.A. Co. Glendale - L.A. Co. Glendora - L.A. Co. Goleta - Santa Barbara Co. Grand Terrace - San Bernardino Co. Guadalupe - Santa Barbara Co. Hawaiian Gardens - L.A. Co. Hawthorne - L.A. Co. Hemet - Riverside Co. Hermosa Beach - L.A. Co. Hesperia - San Bernardino Co. Hidden Hills - L.A. Co. Highland - San Bernardino Co. Huntington Beach - Orange Co. Huntington Park - L.A. Co. Imperial Beach - San Diego Co. Indian Wells - Riverside Co. Indio - Riverside Co. Industry - L.A. Co. Inglewood - L.A. Co. Irvine - Orange Co. Irwindale - L.A. Co. Julian - San Diego Co. Joshua Tree - San Bernardino Co. La Cañada Flintridge - L.A. Co. La Habra - Orange Co. La Habra Heights - L.A. Co. La Mesa - San Diego Co. La Mirada - L.A. Co. La Puente - L.A. Co. La Verne - L.A. Co. Laguna Beach - Orange Co. Laguna Hills - Orange Co. Laguna Niguel - Orange Co. Laguna Woods - Orange Co. Lake Elsinore - Riverside Co. Lake Arrowhead - San Bernardino Co. Lake Forest - Orange Co. Lakewood - L.A. Co. La Quinta - Riverside Co. Lawndale - L.A. Co. Lemon Grove - San Diego Co. Loma Linda - San Bernardino Co. Lomita - L.A. Co. Lompoc - Santa Barbara Co. Long Beach - L.A. Co. Los Alamitos - Orange Co. Los Angeles - L.A. Co. Lucerne Valley - San Bernardino Co. Lynwood - L.A. Co. Malibu - L.A. Co. Manhattan Beach - L.A. Co. Maywood - L.A. Co. Mission Viejo - Orange Co. Monrovia - L.A. Co. Montclair - San Bernardino Co. Montebello - L.A. Co. Monterey Park - L.A. Co. Moorpark - Ventura Co. Moreno Valley - Riverside Co. Murrieta - Riverside Co. National City - San Diego Co. Needles - San Bernardino Co. Newport Beach - Orange Co. Norco - Riverside Co. Norwalk - L.A. Co. Oceanside - San Diego Co. Ojai - Ventura Co. Ontario - San Bernardino Co. Orange - Orange Co. Oxnard - Ventura Co. Pala - San Diego Co. Palm Desert - Riverside Co. Palm Springs - Riverside Co. Palos Verdes Peninsula - L.A. Co. Paramount - L.A. Co. Pasadena - L.A. Co. Perris - Riverside Co. Pico Rivera - L.A. Co. Placentia - Orange Co. Pomona - L.A. Co. Port Hueneme - Ventura Co. Poway - San Diego Co. Ramona - San Diego Co. Rancho Cucamonga - San Bernardino Co. Rancho Mirage - Riverside Co. Redondo Beach - L.A. Co. Redlands - San Bernardino Co. Rialto - San Bernardino Co. Riverside - Riverside Co. Rosemead - L.A. Co. San Bernardino - San Bernardino Co. San Clemente - Orange Co. San Diego - San Diego Co. San Dimas - L.A. Co. San Fernando - L.A. Co. San Gabriel - L.A. Co. San Juan Capistrano - Orange Co. San Jacinto - Riverside Co. San Marcos - San Diego Co. San Marino - L.A. Co. Santee - San Diego Co. Santa Ana - Orange Co. Santa Barbara - Santa Barbara Co. Santa Clarita - L.A. Co. Santa Fe Springs - L.A. Co. Santa Maria - Santa Barbara Co. Santa Monica - L.A. Co. Santa Paula - Ventura Co. Seal Beach - Orange Co. Sierra Madre - L.A. Co. Signal Hill - L.A. Co. Simi Valley - Ventura Co. Solana Beach - San Diego Co. Solvang - Santa Barbara Co. South El Monte - L.A. Co. South Gate - L.A. Co. South Pasadena - L.A. Co. Stanton - Orange Co. Temecula - Riverside Co. Temple City - L.A. Co. Thousand Oaks - Ventura Co. Torrance - L.A. Co. Tustin - Orange Co. Twentynine Palms - San Bernardino Co. Upland - San Bernardino Co. Ventura - Ventura Co. Vernon - L.A. Co. Victorville - San Bernardino Co. Villa Park - Orange Co. Vista - San Diego Co. Walnut - L.A. Co. West Covina - L.A. Co. West Hollywood - L.A. Co. Westlake Village - L.A. Co. Westminster - Orange Co. Whittier - L.A. Co. Wrightwood - San Bernardino Co. Yorba Linda - Orange Co. Yucaipa - San Bernardino Co. Yucca Valley - San Bernardino Co.